It's got 2 attachments for the face, of course the comb attachment has gone walkies and I can't find it since I got it -story of my life right now- Sorry. The comb attachment goes on top of the 2 sided precision head and you'd run it over the eyebrows to uniform the hair length. To be honest, I doubt this would be something I'd do, I quite like the length of my brows and even when I trim them I regret it, so I stick with what I know. 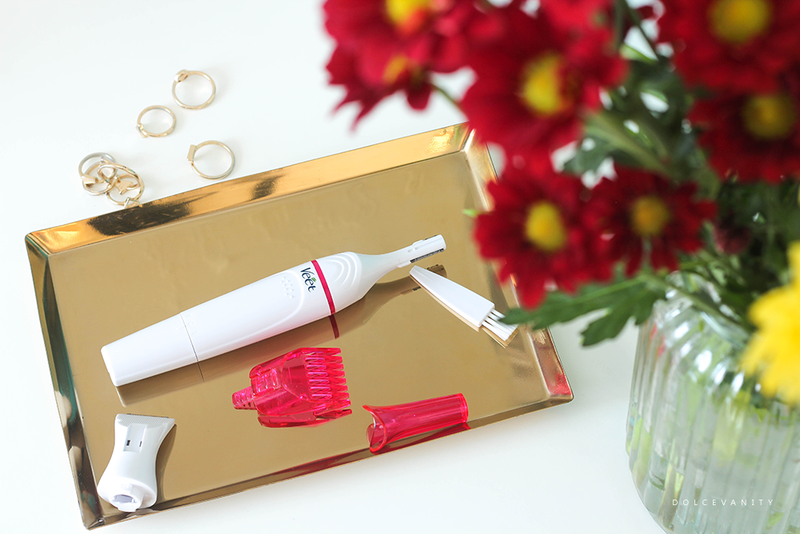 I have used the precision head to tidy up above my brow where the hairs don't need to be and find it effective, no cuts, no irritation or redness after use which is a bonus with hair removal - just does nothing for that upper lip hair. The body areas are the bikini head which is amazingly close in it's removal but not thoroughly close as its not razor close, I do need to go over but here's to razors lasting a little bit longer as this does the hard work. I was so surprised and the comb does well with going through the hair to help cut it down so it does the trimming and removing. I pretty like it, more for the bikini section than the face, don't get me wrong I don't mind if for the brows I just prefer to pluck the hairs I may need to get rid of but for a quick tidy above the brows it's good once in a while. I'm so lazy with hair removal, this sounds like it'd be a great option for me! Like that it comes with different sized heads too. Me too, although after getting my Dorco razor it's faster but I need to be up there with the upkeep. I have not used one of them before but like you said it is good if you have a few stray hairs which I do as it grows back so quickly. Yeah I think it's great for that quick shape up and removal - between the eyebrows for me and near my hairline lol. LOL me all the time when I look at the task. I try keep up with it and if I keep it down, less work overall but sometimes a girl just wants to relax. Totally agree. It sounds like it could be a good tool for precision trimming. I'm curious about the brows especially. I have a few hairs that try to grow a little too long. Certainly, see I think it'll be great for longer stray hairs in the brows. I've seen a lot of these around from other brands. They look very easy to use. Yes I have a bikini trimmer from another brand, I found this head to be a little smaller so a tad more precise for that area. Definitely worth a try, help to rid the strays. Yes, great for travelling with for sure. Ooh I didn't know about this, it looks really good! Keeping those strays away. Veet are expanding nicely. Oh goodness, me neither. I'll sometimes think all areas done and then...nope. Thank you. You're right hair removal is such a chore so anything that makes it easier is perfect. This seems a really good tool, I'll have a look in to it. Definitely, all this hair removal to have smooth silky skin, daily chore. Sounds like a great little product. Taming body hair is such a chore! Totally agree, especially with dark and plentiful hairs. I saw these the other day and was debating getting one. I want one just for the ease of them to be honest! Yes, I like it for the facial hair for a quick removal. Bikini part isn't bad at all. This sounds like a great idea, as I hate hair removal. Such a chore! Same here, it's a nightmare. Oh I've been looking for a good bikini hair remover/trimmer this sounds pretty dope! Hopefully if you get this, you'll like it. This sounds like a great trimmer for those stray hairs that you discover! Yes, it is excellent for that for sure. Oh this looks really interesting. Love the multiple heads. Me too, something for each need & length. 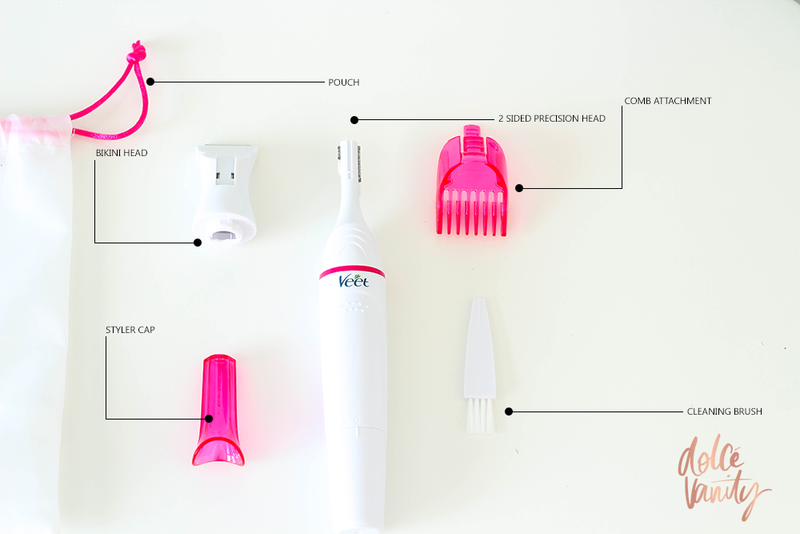 Hair removal can be a tedious process and I'm glad there are various gadgets available now to make it much easier. It truly can be but unless I can get someone to do it daily haha I've gotta get use to it. Sounds like this would be really helpful for the bikini area which is great because I can never find anything I particularly like! Think it would be good to trim down before waxing too. This looks really good - I tend to pluck my eyebrows but I like the sound of the bikini line trimmer. Fab photos, btw! Thank you very much. Yeah I pluck and wax around my brows but in between it's handy to get rid of the hairs. That is such a handy little gadget. I love anything that is multi functional. Me too, makes it worth the money even more. Quite a little bargain. Love this! What a handy bathroom product to have!